Southwest Florida goes to extremes when it comes to welcoming and engaging its visitors. It balances wildlife-rich Everglades backcountry with the art of masters, beach abandon with sophisticated museums, hometowns with home runs. Soon, six major-league baseball teams will spring train here. Already its sporting reputation for golf, fishing, boating, paddling, and now pickleball spreads wide. Throw in superb shopping, dining, and theater and you indeed score a home run. Stretching from the Everglades in the south to Sarasota-Bradenton in the north and from the Gulf of Mexico in the west to the shores of Lake Okeechobee eastward, the region covers all the bases. Wake up in your charming beachfront cottage and head to Ginny's and Jane E's to indulge in their famous crème brûlée French toast. Visit Pine Avenue, the heart of Anna Maria Island, and paint a sand dollar keepsake at the Shiny Fish Emporium. Rent a bicycle from Beach Bums and tour the island. 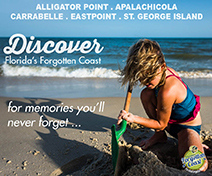 Visit Coquina Beach, voted best "island sand" in the US by Condé Nast. Enjoy a picture-perfect sunset and watch dolphins at play while dining at the Sandbar Restaurant. 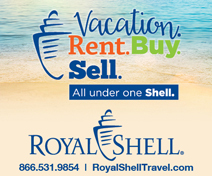 Begin your day even before sunrise to find the best sea shells along the beach at the 1884 Sanibel Lighthouse. Then find out why the USA Today newspaper ranked the J.N. "Ding" Darling National Wildlife Refuge on Sanibel Island tops for birdwatching. After a chilled shrimp and fruit salad lunch at The Island Cow, be amazed at one of the US's most-visited historic homes, the Thomas Edison & Henry Ford Winter Estates in Fort Myers. Wonder at the inventor's laboratory and museum. Take an early morning walk along Marco Island's crescent-shaped white sand beach. Search for shells and birdwatch at Tigertail Beach on the island's north end, a top spot on the Great Florida Birding & Wildlife Trail. Book a sightseeing cruise on board Pure Florida's Double Sunshine departing from Tin City on the Old Naples Waterfront. Enjoy a grouper sandwich and slice of key lime pie at Pinchers Crab Shack next to the docks at Tin City. Explore the Children's Garden and the Naples Botanical Garden. Start your day with a freshly brewed cup of coffee and pastries in downtown Sarasota before heading to Bayfront Island Park for a stroll alongside Sarasota Bay. Hop over to St. Armands Circle for retail therapy and lunch at al fresco dining spots. 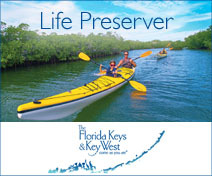 Then grab a paddle and kayak the mangrove tunnels on Lido Beach. Reserve your evening for a sunset on Siesta Beach, where the luxurious quartz-white sand is unmatched. Top off your day with cocktails and dinner in Siesta Key Village. 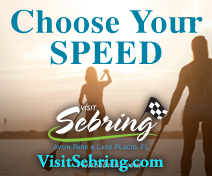 Think of Southwest Florida and images of splendid beaches immediately come to mind. However, the region has a strong tradition of arts and culture told in its architecture, galleries, museums and theaters. In Naples, art galleries line downtown streets, where you will also find free exhibitions at the Naples Art Association and lively performances at Sugden Community Theatre and Gulfshore Playhouse. Artis-Naples brings still more performance arts and is home to the Miami City Ballet and the world-class Baker Museum of Art. Year-round, the region hosts art shows including downtown's prestigious Naples National Art Festival in February, the Stay in May Festival in April/May and the Naples International Film Festival in October. In the past few years, neighboring Bonita Springs has leaped onto the arts bandwagon with the expansion of the Center for the Arts to a second campus with performing arts and a new film center, which hosts another annual international film festival. In summer 2016, the Southwest Florida Performing Arts Center opened with a celebrity-chef restaurant and a slate of nationally known comedians, bands, musicals and dance groups. The art scene in Fort Myers centers around its historic downtown River District, where Art Walk takes place the first Friday of the month and Music Walk the third Friday. The Sidney & Berne Davis Art Center and Arcade Theatre, home to the nationally acclaimed Florida Rep, occupy separate historic buildings with distinctive period architecture. A handful of art galleries completes downtown's artistic landscape. Watch as Alliance for the Arts turns Fort Myers' royal palm-lined McGregor Boulevard into a pedestrian-friendly art district of its own. Downtown Punta Gorda's riverfront architecture recalls the boom years of the late 19th century with Victorian mansions, handsome government buildings and colorful vernacular homes. Browse the galleries of the Visual Arts Center (VAC), which hosts the Peace River National Art Festival in March. Sarasota arguably holds the loftiest reputation for the arts in these parts, stemming from the influence of the Ringling family, whose circus wintered here. The Ringlings exerted an Italianate influence on local architecture and the arts, culminating in the Ca' d'Zan mansion on The Ringling grounds. Seeded with John Ringling's own collection of Rubens and baroque art, The Ringling's art museum collection covers 500 years of European art and specializes in late-medieval and Renaissance Italian works. In 2016, it debuted the Center for Asian Art to showcase revolving exhibits of its Asian collection. The complex's Asolo Repertory Theatre contributes to Sarasota's rich theatrical tradition, which ranges from new plays at the Florida Studio Theatre to Broadway shows at the Van Wezel Performing Arts Hall, designed by the Frank Lloyd Wright Foundation to resemble a scallop shell. Taking up residence in a restored historic high school, the Ringling College of Art + Design's Sarasota Museum of Art is expected to open by mid-2018. For a driving tour of other architectural gems, including examples of the vaunted Sarasota School of Architecture, pick up a copy of the Tour Sarasota Architecture Guide at visitors' centers. Galleries fill the Sarasota-Bradenton area, which boasts two artists' colonies-Towles Court near downtown Sarasota and Village of the Arts in Bradenton. The colonies and downtown Sarasota schedule monthly gallery walks where you can meet the artists. 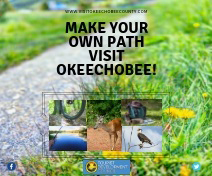 Most of the attractions in Southwest Florida are outdoor venues or learning centers, which educate and inform visitors about the region's bountiful nature and wildlife. 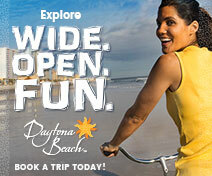 Take Naples, for instance, where the most visited attractions include the Naples Botanical Garden and Naples Zoo. The garden showcases subtropical vegetation in settings that reflect the culture of Brazil, the Caribbean, Asia and Florida. The zoo began as botanical gardens in 1919 and today is home to wild animals from around the world. In 2016 it debuted a special Florida panther exhibit to house a local cat blinded by a shotgun blast. The Collier County system of museums occupies five unique venues in Marco Island, Naples, Everglades City and Immokalee-all of them family-friendly. The Naples Depot Museum unveiled a restoration of its 1947 tavern car in late 2017. The town's most family-friendly museum, Golisano Children's Museum of Naples, sits next to every kid's favorite, the Sun-n-Fun Lagoon water park in North Naples. Naples is known, too, for its superlative golfing opportunities. Besides playing lush, natural golf courses, adults and kids alike can get their game on at various golf schools and programs in the area. In Fort Myers, the Edison & Ford Winter Estates, one of Southwest Florida's finest historic treasures, offers guided and self-guided tours. Nearby, the IMAG History & Science Center incorporates exhibits from the former Southwest Florida Museum of History and Imaginarium Science Center with new virtual-reality exhibits for a one-stop museum that appeals to adults and children alike. New on Fort Myers Beach, the Mound House, under development for several years and the town's oldest standing structure, opened a cultural museum in late 2015 examining the Calusa, who built a shell mound on the property. Go inside and take a peek. 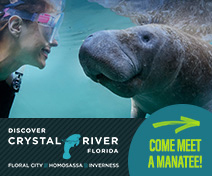 At Lee County Manatee Park in North Fort Myers, watch manatees from the observation deck and boardwalk or rent kayaks and paddle out to see them coming and going into the "bay." The area is especially interesting during the winter months; the colder it gets the more manatees there are. New in 2017 for Punta Gorda, the world-class Peace River Botanical & Sculpture Gardens opened on a lovely riverside estate. For families in Sarasota, the canopy boardwalk in the new Children's Rainforest Garden at Marie Selby Gardens is a don't-miss. Other family musts include the circus museums at The Ringling, Mote Marine Laboratory & Aquarium and Sarasota Jungle Gardens. Bradenton's history dates back to Hernando de Soto, and a national historic site recalls his first landfall. The South Florida Museum and Parker Manatee Aquarium nicely displays de Soto related exhibits, plus prehistoric animal recreations. The aquarium is a second-stage rehabilitation center for rescue manatees before they are released into the wild. Stroll along Bradenton Riverwalk for views, play areas, and easy-to-absorb learning experiences. Bradenton's Cortez community retains its feel of an Old Florida fishing village with a working waterfront and maritime museum. 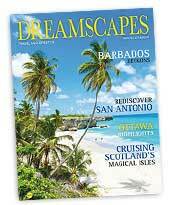 A number of charter boats depart from the docks to take you deep-sea or back-bay fishing. 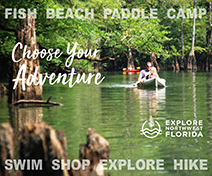 You will find no nature-deficit disorder in Southwest Florida, where the great outdoors ranges from gorgeous, award-winning beaches to the raw wilderness of the Everglades ecosystem. Around Naples and Everglades City, a number of state and federal parks and preserves safeguard fragile Everglade habitats-home to myriad birds and fish, deer, Florida panthers, bobcats, manatees, alligators, crocodiles, turtles and river otters. Big Cypress National Preserve, the most massive of the public lands, provides inimitable opportunities for recreation among wildlife. Everglades National Park and Ten Thousand Islands National Wildlife Refuge protect the seas and wetlands of the so-called River of Grass. Beach glamour begins in Marco Island and Naples with award-winning strands that cover the gamut from the municipal beach and historic fishing pier in Naples to the wild Delnor-Wiggins Pass State Park. 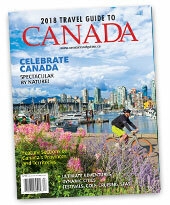 What do travelers, and particularly families, find so endearing about local beaches? The soft, white sand, gently sloping sea bottom and tot-friendly waves win raves. Certain beach destinations, furthermore, have reputations for distinctive characteristics, such as the seashell overload on Sanibel and Captiva islands and sharks' teeth findings in Venice. The best shelling beaches around Sanibel include Bowman's Beach and offshore Cayo Costa, which is accessible only by boat. A number of charters will take you there to collect shells. In Venice, head to the fishing pier at Brohard Beach or to Caspersen Beach to sift for sharks' teeth in the sand. Other superlative beach qualities: Captiva Island and Lovers Key State Park are often listed in the most romantic category; in Sarasota, Siesta Key's sand is famously soft and blindingly white, so don't forget to pack the shades. In 2017, Dr. Beach once again named it America's top beach. The nightlife scene in Naples—particularly downtown and in North Naples—gets continually livelier these days as young couples and families move in. Hit the live theaters around Fifth Avenue South, then stay to party at late-night clubs downtown. Or take in a show at Artis-Naples in North Naples and later head to the clubs and pubs in the Mercato shopping and entertainment district. You can do both dinner and a movie at its Silverspot Cinema or at the Paragon Theaters at The Pavilion across the street. North Naples also has its own comedy club-restaurant complex. For quirky spectator sport entertainment, you can't beat the Swamp Buggy Races held three times each winter. It involves big-tired Everglade vehicles, lots of mud, and a festival queen who ends up in the deepest mud hole. East of town in Immokalee, the Seminole Casino Hotel hosts gaming and big-name entertainment. To the north, Bonita Springs is building a reputation for comedy, live music, dining, performing arts and indie films. It is also home to a greyhound racetrack. Downtown Fort Myers has the hottest nightlife and special events scene in town. Fort Myers is also home to two Major League Baseball stadiums that host the Minnesota Twins and Boston Red Sox during spring training. Come summer, the Fort Myers Miracle take to the field. The Tampa Bay Rays train in Port Charlotte to the north, and off-season, the Charlotte Stone Crabs bat the ball around. The Sarasota-Bradenton area is home to two spring training teams as well-the Pittsburgh Pirates and Baltimore Orioles, plus summer's Bradenton Marauders. In 2019, the Atlanta Braves plan to move their training season to North Port, south of Sarasota. Much of Sarasota's entertainment and nightlife is of a higher brow ilk, with a reputation for fine theater, symphony and opera. Downtown Sarasota sparkles at night with sophisticated clubs, and Siesta Key has a beachy party atmosphere in the village. Don't miss the beach clubs of Bradenton Beach for more laid-back entertainment options. Bradenton's Manatee Performing Arts Center infuses energy into downtown, as does its dynamic Riverwalk, the venue for December's long-running blues festival. Head east of Naples along Tamiami Trail (Highway 41) to immerse yourself in the region's wild side and Old Florida culture. For glimpses of wildlife, try Janes Memorial Scenic Drive in Fakahatchee Strand Preserve State Park or Loop Road in Big Cypress National Preserve. Backroad Route 92 takes you from 41 to the time-stilled fishing community and seafood restaurants of Goodland. Views along the Sanibel Causeway and Captiva Drive star in many commercials, but all of the coastal islands promise glimpses of sea and local color. The drive through Bonita Beach, Lovers Key and Fort Myers Beach and another from Lido Key through Anna Maria Island in Sarasota and Bradenton are particularly representative of island life. 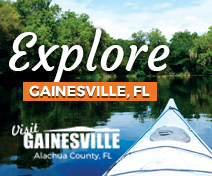 From Fort Myers, head east along Route 80 to visit the historic small towns of riverside Alva and Labelle, and lakeside Clewiston. 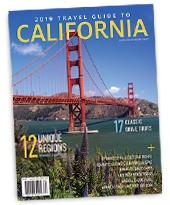 Glimpse the region's rural, agricultural personality along the way. Or plan a trip to Pine Island to the northwest. 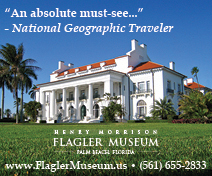 Its four communities are known for exotic fruit farming, ancient Calusa shell mounds, an artists' village and fishing. In the Port Charlotte area, a road trip to Boca Grande on Gasparilla Island scores for historic intrigue and lovely beaches. To its north, Sarasota lays claim to a number of small organic and other farms you can visit. Look for the 2016 Agriculture Guide of Florida's Gulf Coast. Cross the Manatee River from Bradenton to reach the historic attractions of Palmetto, a riverside beauty also known for its agricultural heritage. If you're looking for unique buys, there's plenty of that in Southwest Florida. In Naples, art galleries fill the downtown Fifth Avenue South and Third Street South districts. At the latter, buy your designer labels at Marissa Collections. Other popular outdoor shopping venues include The Village Shops of Venetian Bay, Waterside Shops and Mercato. On a budget? Look for like-new castoffs in the area's consignment shops. To the north in Bonita Springs, The Promenade at Bonita Bay made a remarkable comeback recently with anchor foodie market DeRomo's. Coconut Point lays out a huge spread of big box stores and fashion boutiques. In Punta Gorda, downtown and Fishermen's Village present small, intimate shopping experiences. Hit Boca Grande on Gasparilla Island for a charming historic twist to your shopping. St. Armands Circle is Sarasota's most well-known address for upscale shopping in a landscaped outdoor setting. The new Mall at University Town Center has shifted focus to Sarasota's eastern extremities. Farther yet to the east, the community of Lakewood Ranch is known for its delightful shops and restaurants on and around Main Street. For genuine local souvenirs, head to the region's artist villages-Matlacha on Pine Island off of Fort Myers, Towles Court in Sarasota, and Village of the Arts in Bradenton. Watch for news of art walk events in downtown Fort Myers, Punta Gorda and Sarasota. Bargain-seekers head to the factory outlet malls: Naples Outlet Center, Miromar Outlet Malls in Estero, Sanibel Outlets in Fort Myers and Ellenton Premium Outlets near Bradenton. Or check out the flea markets: Flamingo Island Flea Market in Bonita Springs, Fleamasters Fleamarket in Fort Myers, Sun Flea Market (with its own mini-amusement park) in Port Charlotte, the Dome Flea & Farmers' Market in Venice and Red Barn Flea Market in Bradenton.